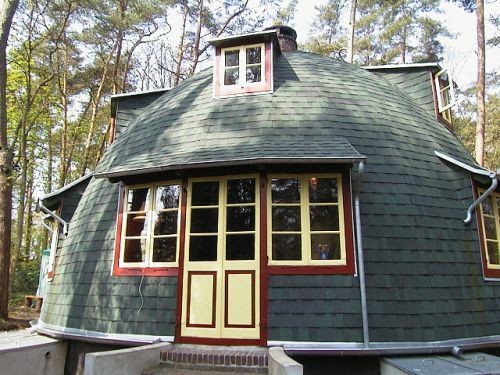 Käseglocke is an igloo-shaped house in Worpswede, built in 1926 for Edwin Koenemann to designs by Bruno Taut. Käseglocke is an igloo-shaped house in Worpswede, built in 1926 for Edwin Koenemann to designs by Bruno Taut. Nicknamed after cheese bell-jars, the house has been preserved over the years and now houses a collection of Worpsweder crafts and furnishing.